Obituary for Mary A. Mleczko | Kostanski Funeral Home, Inc.
Greenfield----Mary A. Mleczko, 96, formerly of Turners Falls died Saturday (3-30-19) at Buckley Health Care Center. She was born in Turners Falls on April 8, 1922 the daughter of Franciszek and Aniela (Kopaczow) Mleczko. Mary attended local schools and graduated from Turners Falls High School Class of 1939. 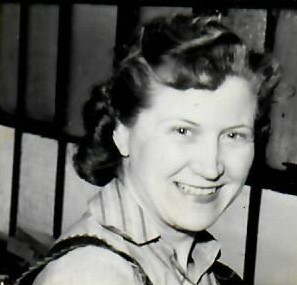 Mary was employed by UMASS in the registration department for many years. Previously, she had worked for Millers Falls Tool. Mary enjoyed traveling all over the world. She was an avid bowler, reader and loved to take her nieces and nephews ice skating on Highland Pond. She hosted many large family holiday gatherings over the years that will always be remembered fondly. Mary leaves her sister: Blanche Currie of Granby, MA and her brother Chester Mleczko and his wife Josey of South Deerfield. Mary also leaves several nieces, nephews and grandnieces and grandnephews. She was predeceased by her siblings; John Mleczko, Stanley Mleczko, Frank Mleczko, Joseph Mleczko, Edward Mleczko, Henry (Spike) Mleczko and Helen Kopec. A Liturgy of Christian Burial at Our Lady of Czestochowa Church, 84 K St. in Turners Falls will be Thursday (4-4-19) at 10 AM. Burial will follow in Our Lady of Czestochowa Cemetery. A calling hour will be 8:30 AM to 9:30 AM at Kostanski Funeral Home, 1 Kostanski Square, Turners Falls. The family would like to thank Buckley Health Care Center for their excellent care. Memorial contributions may be made to Our Lady of Czestochowa Church Renovation Fund, 84 K St. Turners Falls, MA. 01376.